Has your debt overwhelmed your life? Has your debt overwhelmed your life? Are you ready to get away from the pileup of bills and stress, of not knowing how you will pay for everything? At Doan Law Chula Vista, Bankruptcy Lawyers are available to help you regain control over your finances, and get out from under the burden of debt. We are with you every step of the way. Start by coming in for a free consultation, and meet with a Debt Relief Lawyer, to determine the right path for your personal case. Because every case is different, our expert Chula Vista Bankruptcy Lawyers are able to help you decide what is right for you. Once you have received the legal advice you need to move forward with your case, all you have to do is leave a small retainer, and you will immediately be free from the harassment of creditors. If you do receive a phone call from a creditor, simply refer them to your personal Bankruptcy Chula Vista Attorney and we will take care of the rest. Put our Chula Vista Bankruptcy Lawyers to work on your case! If you have chosen to file in Bankruptcy Court, Chula Vista-based Doan Law can help you determine which Chapter is right to file under. With Chapter 7, Chapter 13, and even Chapter 20 to choose from, deciding which path is right for you, can be extremely difficult. Our team of experts is available to help you on the right path for your case. Once your case is over, our work is not done. We provide the credit counseling Chula Vista residents need to overcome their debt. Your case is our case, and we go above and beyond to make sure you feel at ease and comfortable not only with the end result, but also moving forward on your path to financial freedom. We can also help with debt settlements. We can also help with debt settlements. Our lawyers are available to assist in negotiations, immediately giving you extra credibility when meeting with creditors. Make your case stronger by utilizing one of our expert team members, who will take the time to get to know your case, prior to meeting at the negotiation table. 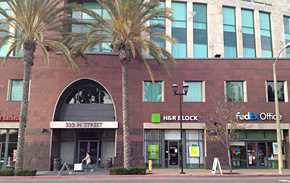 Contact our Chula Vista offices today and get started on the path to financial relief. We are eager to help you overcome your debt, assist you with your bankruptcy filing, and help you get back on the road to financial success. Chula Vista offers a variety of attractions for all visitors. Chula Vista cultural highlights include outdoor amphitheaters, harbors and marinas, horseback riding, water parks, and more. With excellent weather all year round, this city gives visitors and locals alike plenty of ways to enjoy the outdoors and take in a bit of culture at the same time. At Doan Law our San Diego Bankruptcy Attorneys will answer all your Chapter 7 Bankruptcy and Chapter 13 Bankruptcy questions. Call us now to meet with one of our expert bankruptcy attorneys, at any of our San Diego Bankruptcy offices, call (760) 450-3333.